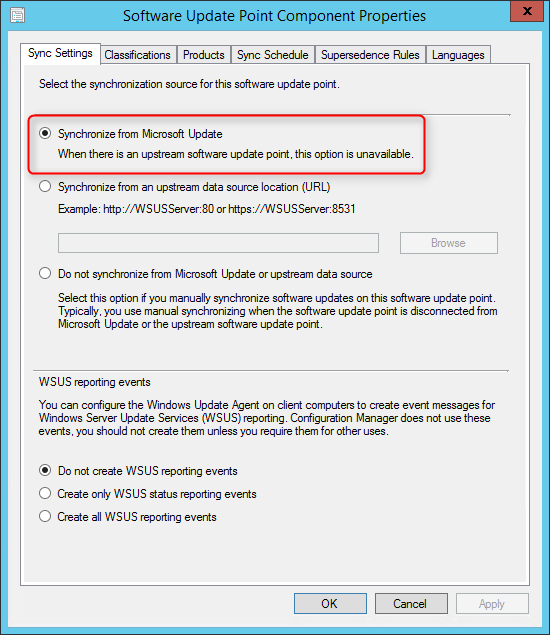 In this part of SCCM 2012 and SCCM 1511 blog series, we will describe how to install SCCM 2012 R2 or SCCM 1511 Software Update Point (SUP). 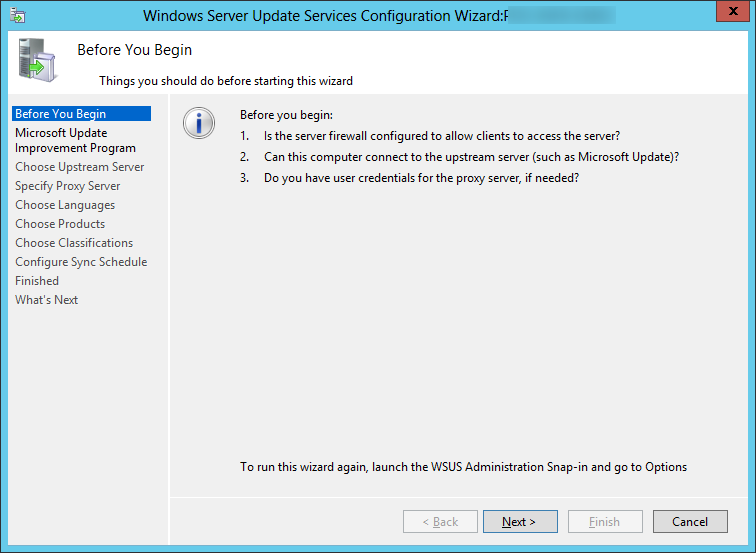 The SUP integrates with Windows Server Update Services (WSUS) to provide software updates to Configuration Manager clients. 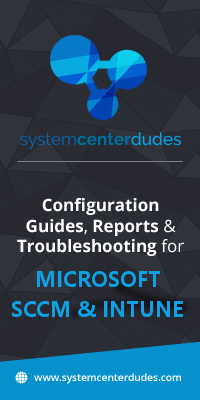 This is not a mandatory Site System but your need to install a SUP if you’re planning to use SCCM as your patch management platform. 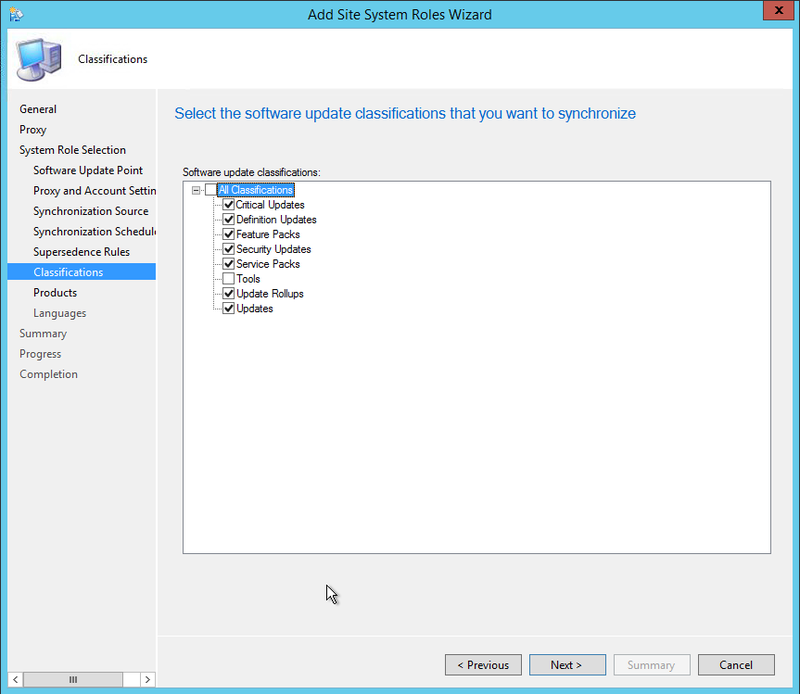 SCCM 2012 SP1 (and thus R2) integrates new features to the Software Update Point that are well documented in this Technet Article. This Site System is a site-wide option. It’s supported to install this role on a Central Administration Site, child Primary Site, stand-alone Primary Site and Secondary Site. 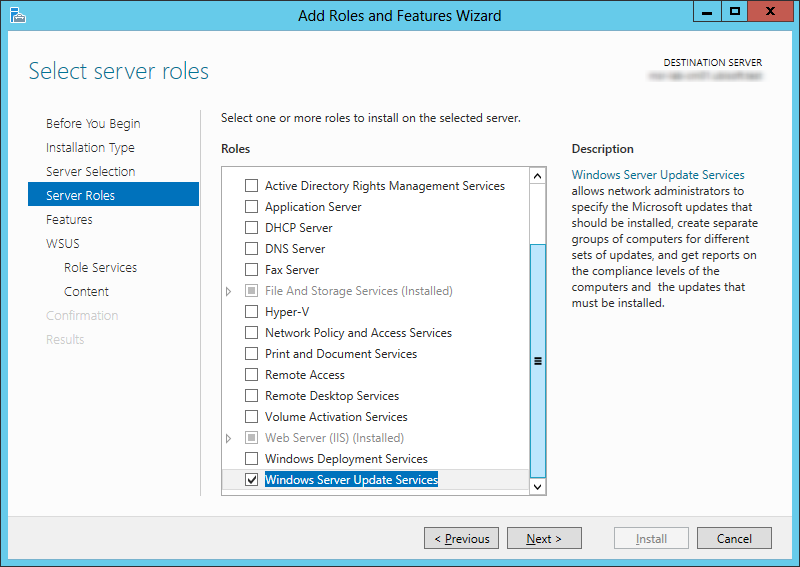 When your hierarchy contains a Central Administration Site, install a SUP and synchronizes with Windows Server Update Services (WSUS) before you install a SUP at any child Primary Site. 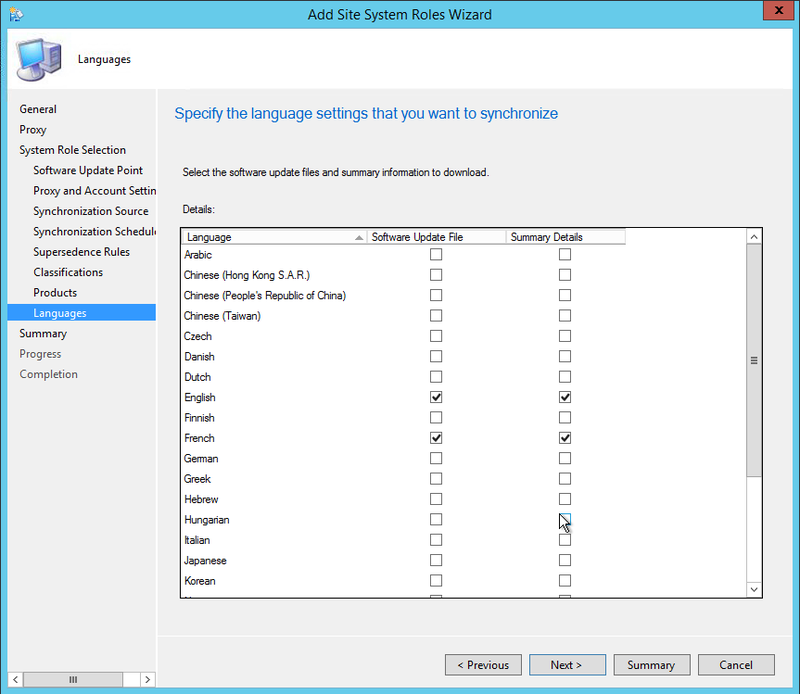 When you install a SUP at a child Primary Site, configure it to synchronize with the SUP at the Central Administration Site. Consider installing a SUP in Secondary Site when data transfer across the network is slow. 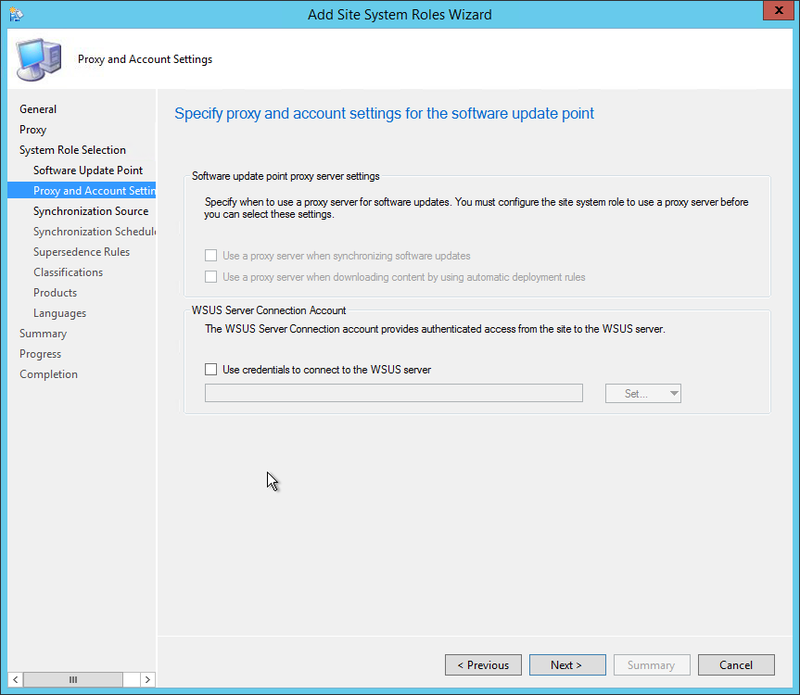 The WSUS Administration Console is required on the Configuration Manager site server when the software update point is on a remote site system server and WSUS is not already installed on the site server. The WSUS version on the site server must be the same as the WSUS version running on the software update points. When using WSUS 3.0 (on server 2008, it was possible to install the console only). This has changed with 2012 and 2016. 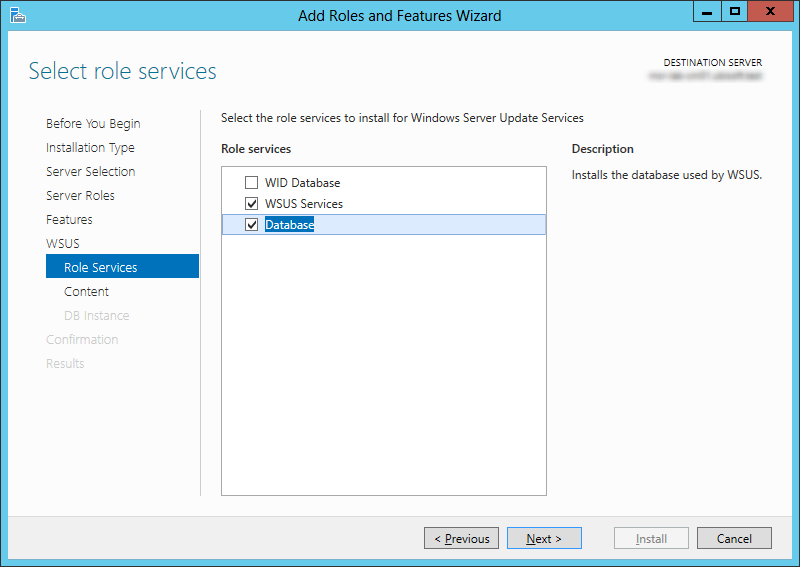 One way to do it is to add the Windows Software Update Services role and deselecting Database and WID Database. The problem is that will still cause some trouble with the post-install task. This will install the console only and not run a post-install task. Perform the following on the server that will host the SUP role. Just wondering, why does the owner of the SUSDB need to be SA? What if you chose Windows Auth during the SQL install instead of mixed mode, and therefore SA is not an option? how would you test SUP on 100 computers and leave the rest intact with same settings WSUS settings? I would set up a Custom Client setting with Software Update set to disabled, and applied to “the rest”. Then I would leave the GPO for WSUS on for those computers. 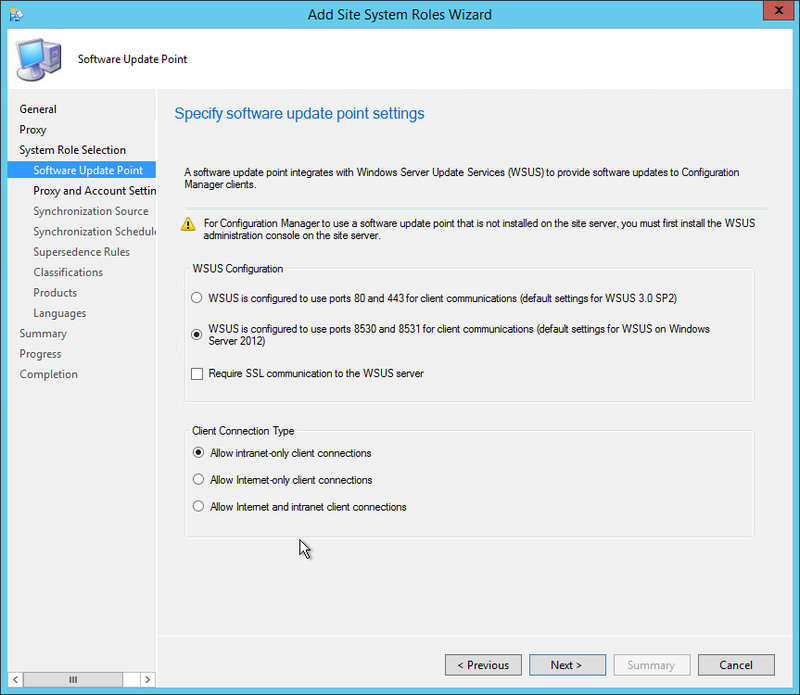 For the 100, I would remove the GPO for WSUS, and apply custom Client settings with Software Update set to Enabled. But I would recommend moving on from WSUS and go 100% with SCCM . The plan is move 100% with SCCM but need to test before continue with all the computers. i’m trying to find a way how to leave the key of the current machines because I notice as soon I disable the Software Update WUServer and WUStatusserver the key gets delete it. I have a little issue. I got 2 boxes (2012R2 brand new). One is CMCB1511 and the other is WSUS. System.Net.WebException: Unable to connect to the remote server —> System.Net.Sockets.SocketException: No connection could be made because the target machine actively refused it IP:8530 !! But the IP is not the wsus server but cmcb its IP! I don’t understand what went wrong. I followed your Installation guide. I did it on my DEV environment (all in one box) and worked perfectly. In Prod environment, I have to use to boxes, they are in the same vlan and firewall ports specified in IIS are opened (8530 and 8531). From what I understand, it seems that you try to install the SUP on the CMCB1511 boxe, while WSUS is installed on another box. 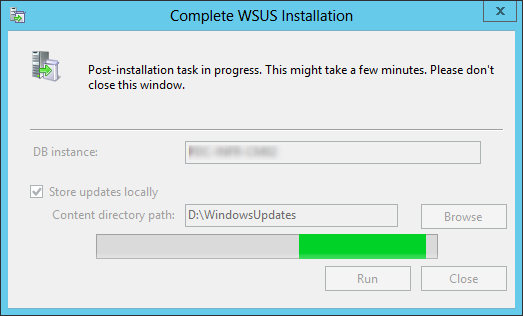 SUP must be installed on the same box as the WSUS is. This would result in having your primary server with Management Point, Distribution point,etc, and an another server with WSUS and SUP role only. Right click your Site System and click Create Site System Server. 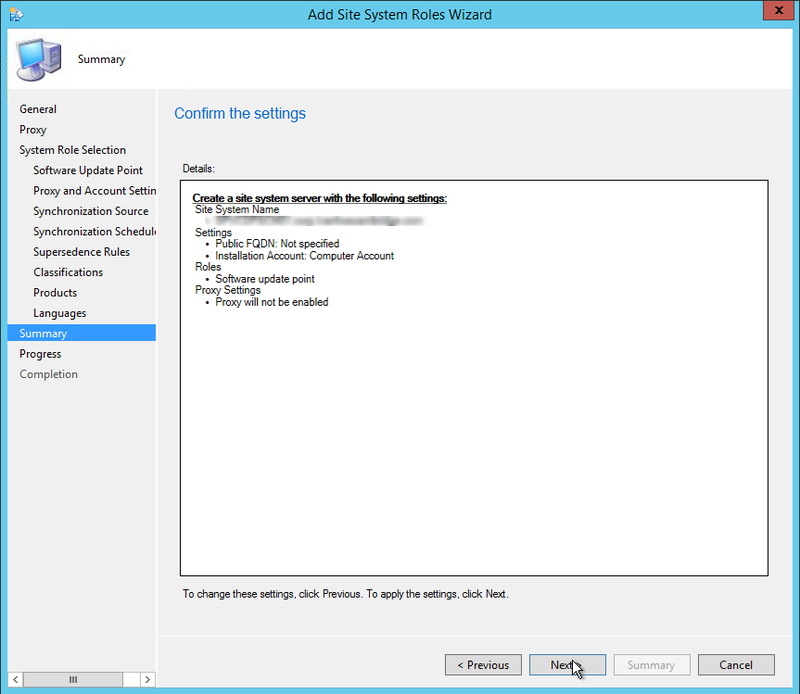 This will allow you to point to the WSUS server and select the SUP role. It did it .. And also set Primary site server object as Administrator of the WSUS !! Thank you again !! You saved my time ! Hi guys. I’ve upgraded my SCCM 2012 R2 server to 1511, then 1602, then 1606 a few months back. All has been good. Now since 1602 supported an OS upgrade from Server 2008 R2 –> Server 2012 R2, I performed that today. 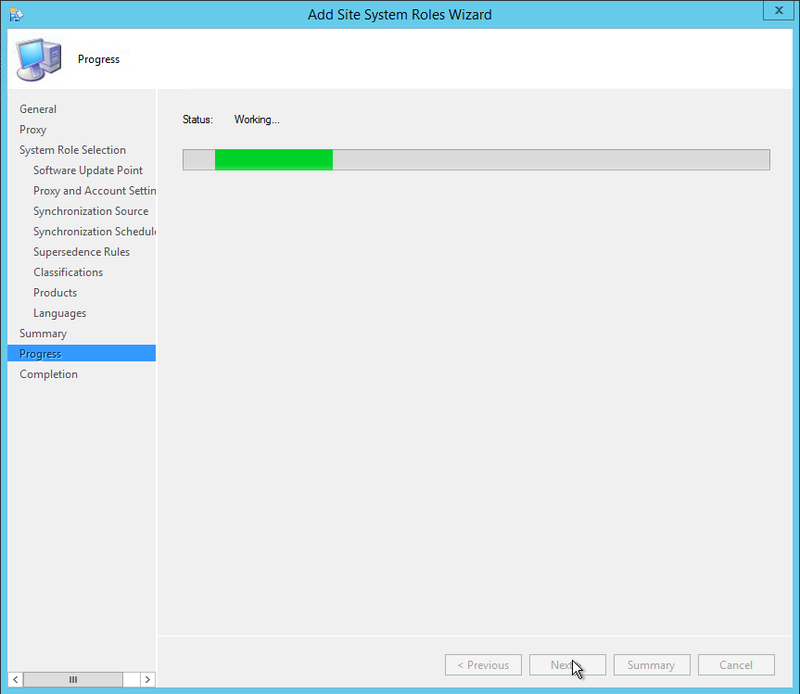 On the Primary Site (SCCM01) **AND** SUP/DP/Reporting server (SCCM02), I did stop and disable SCCM services, removed WSUS and the WSUS console, and then upgraded them both to Server 2012 R2. I went back and added the WSUS role to SCCM02 and the WSUS Console to SCCM01. The main issue is that I’m not seeing all of the products listed (only XP, Vista, Server 2003) and no newer Win10, Win8, etc in the list. 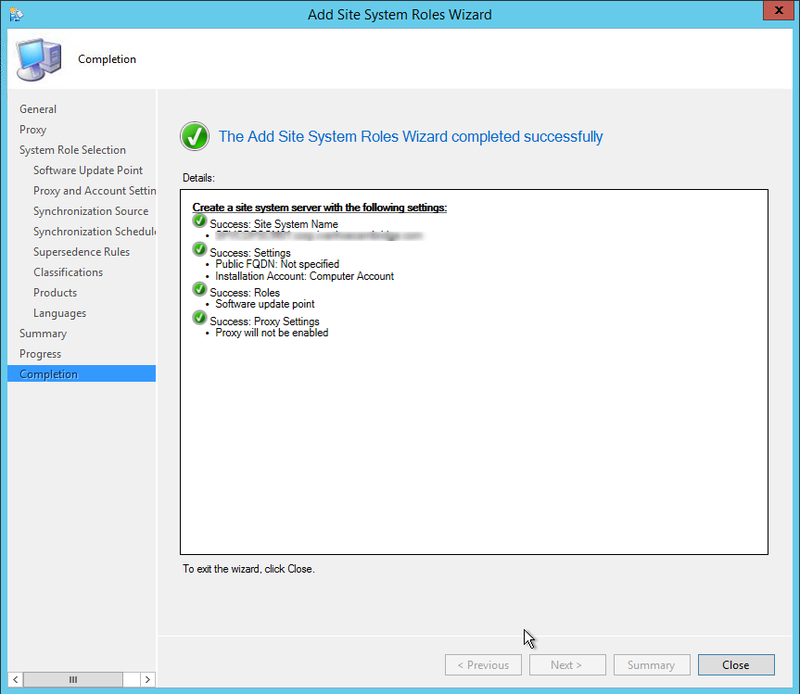 I have gone back and removed WSUS again, removed the SUP role from SCCM02, and tried it all again… no luck. I’ve made sure that my upstream is set as the default Microsoft update site but it’s still not working. the first time you install a SUP, you will not see newer products. A first sync must be done before seeing all products. Be sure to use latest WSUS 4.0 with SCCM 1606 for Windows 10 servicing with latest KB also. 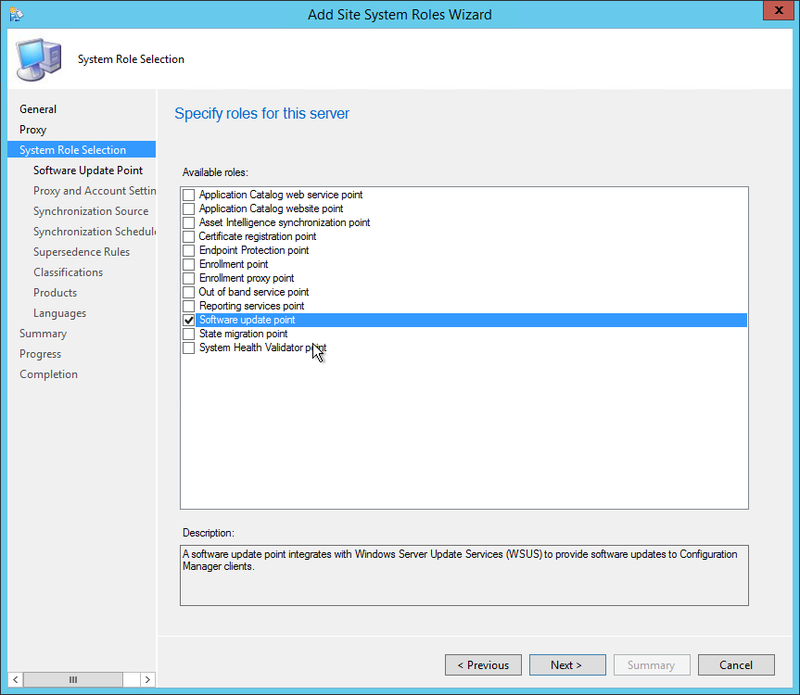 Hi can anyone advise the best approach to remove old WSUS 3.0 sp2 and SUP role on ConfigMgr 2012 R2 Sp1. 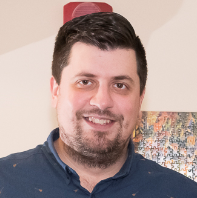 To implement WSUS v4 which enables feature upgrades for windows 10. 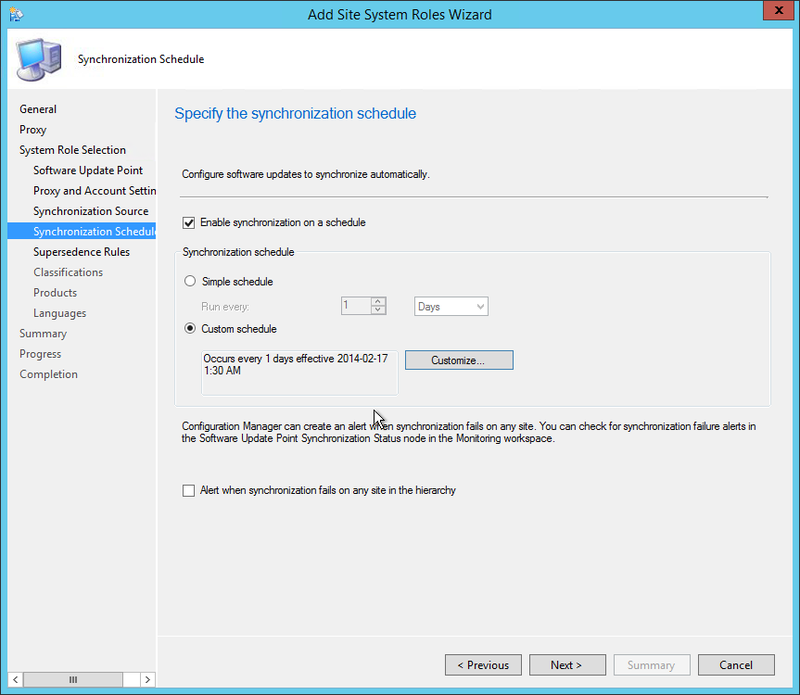 Running x2 WSUS servers on different versing is not supported so unable to do side by side. Many Thanks Sam ? changing to WSUS 4.0 is not, in itself, a big deal. 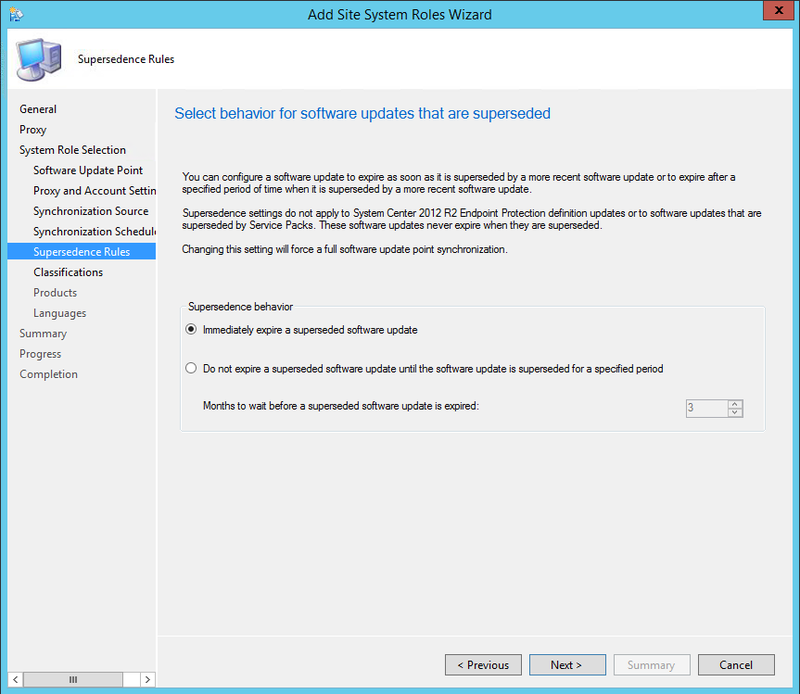 Removing SUP role that depend on WSUS won’t remove your Software Update groups, packages, ADR, etc. 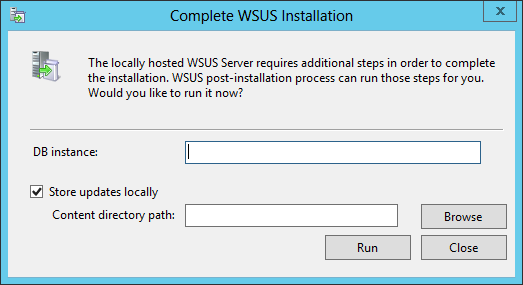 So this basically affect the background process of WSUS/SUP. 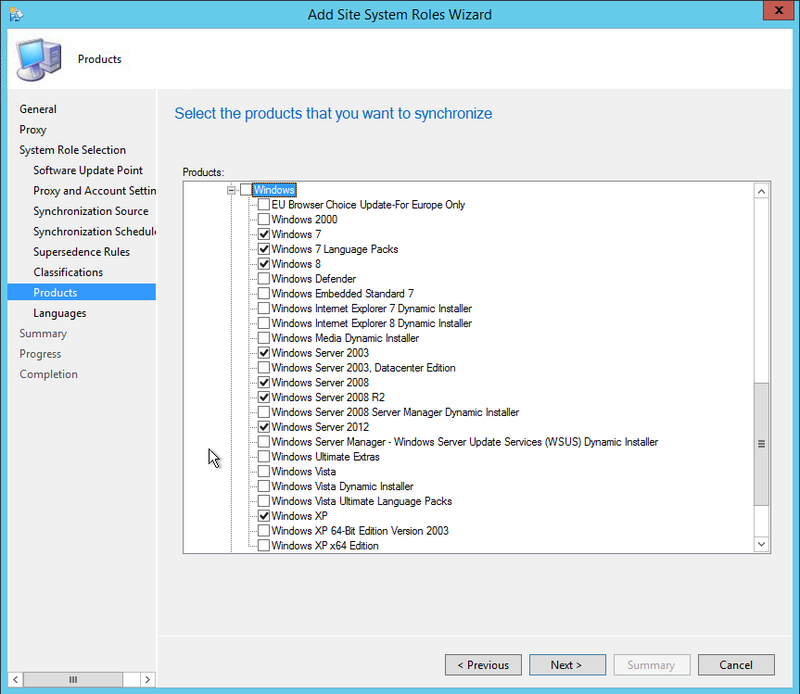 Biggest challenge comes by the fact that WSUS 4.0 needs Windows server 2012 or 2012 R2. 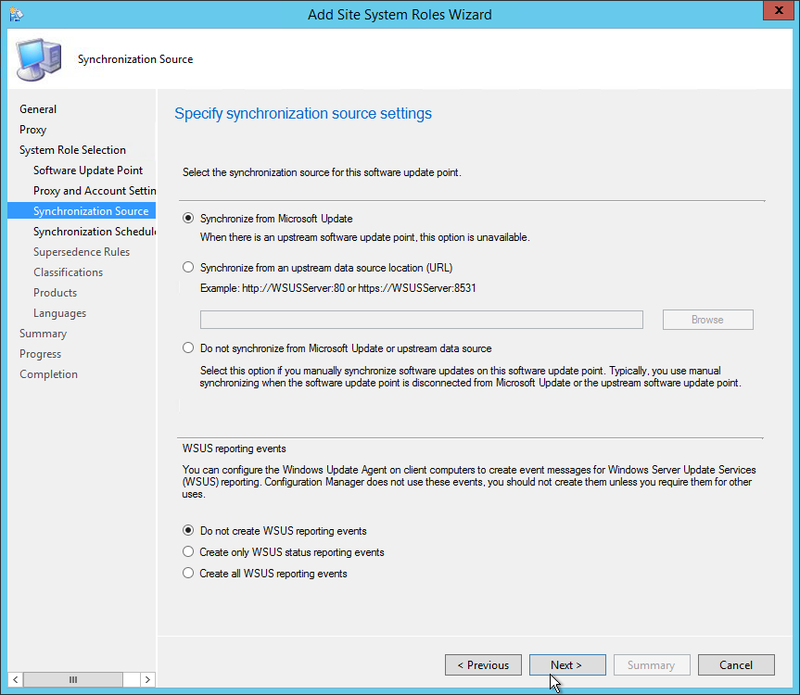 So if you are using WSUS 3.0, you must be running Windows Server 2008 R2. Is KB3127032 no longer necessary? Yes, it’s still needed as this affect WSUS. Hi there, nice article. Quick question – Why change the SUSDB owner to SA?